Wiz Khalifa and Curren$y’s second collaborative project has arrived. After years of rumors and teases, the duo has officially dropped a new album titled 2009. The Taylor Gang and Jet Life leaders have reconnected for 14 tracks, which include collaborations with Ty Dolla $ign and Problem. Cardo, Harry Fraud, Sledgren, Dame Grease and more handle the production. 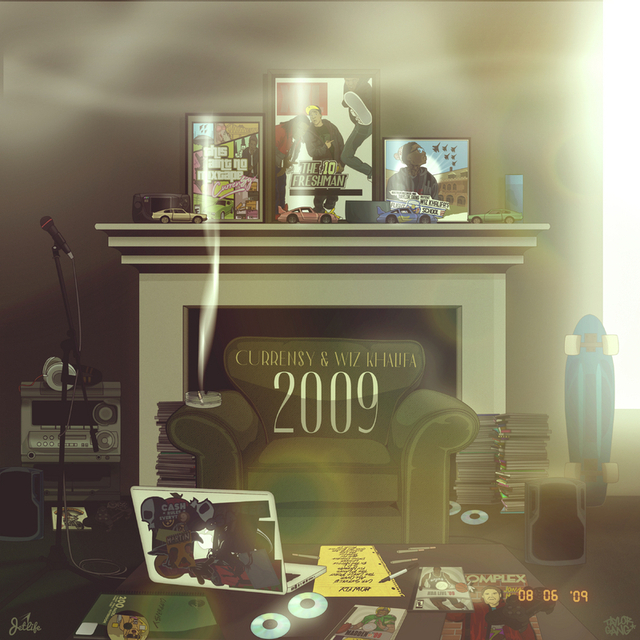 Check out Wiz and Curren$y’s 2009 stream, cover art and tracklist below. Wiz Khalifa and Curren$y’s long-awaited 2009 project is finally on its way. The weed connoisseurs have announced their collaborative release will drop this Friday (February 8). The duo also unveiled the tracklist for their much-anticipated album, which features 14 tracks. Production is handled by Dame Grease, Cardo, DJ Fresh, Harry Fraud and Monstabeatz, among others. Guests include Ty Dolla $ign and Problem. The announcement of 2009 comes just a few days after Wiz and Spitta’s first collaborative project, How Fly, made its debut on streaming services. The mixtape was originally released a decade ago. The Taylor Gang and Jet Life bosses will be supporting their upcoming album with the appropriately-named 2009 Tour, which also begins on February 8. The veteran MCs are scheduled to kick things off in Seattle before wrapping up the tour on March 9 in San Antonio. Check out Wiz and Curren$y’s 2009 tracklist below.